Centre for Policy Alternatives Senior Researcher Lionel Guruge. 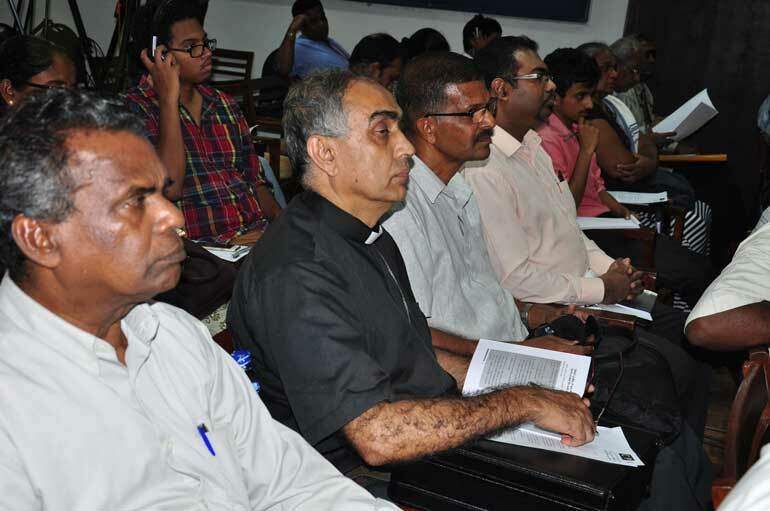 At a forum organised by the Centre for Policy Alternatives (CPA), Director Dr. Paikiasothy Saravanamuttu urged citizens and civil society to rally for a participatory constitution making process. 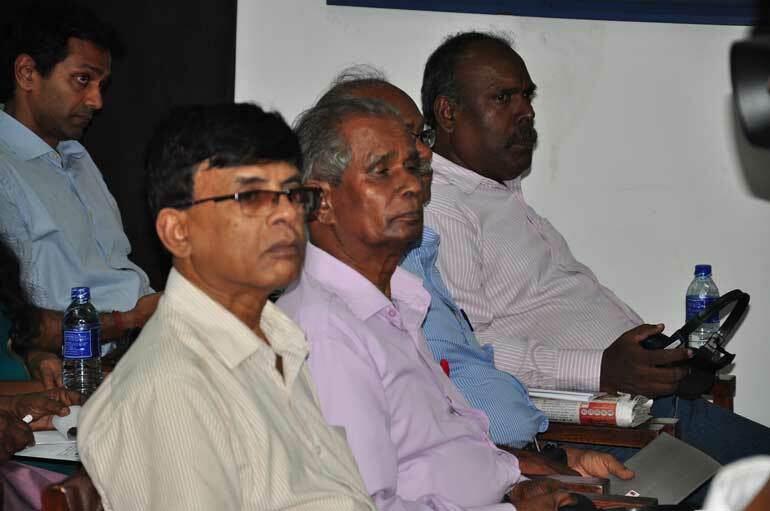 Highlighting the failures of previous constitutions, Saravanamuttu stressed the importance of grassroots mobilisation in formulating “the supreme law of the land”. CPA Senior Research Lionel Guruge who also spoke at the event said that his organisation had contacted via e-mail 400,000 individuals from civil society, including intellectuals, artists and activists to request proposals for constitutional reform. He said that proposals would also need to be formulated at the grassroots level with proposals being taken through religious and various local organisations. “Our ultimate goal is to provide a report from each province,” he said. 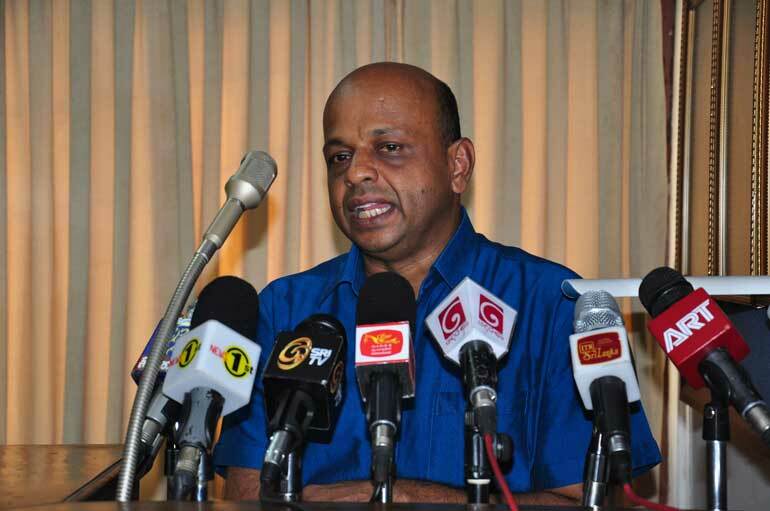 Hailing the post January 8 political moment as an opportunity for reform, Saravanamuttu said it was the first time Sri Lankans were treated as citizens and appealed to on a broad platform of reform. He argued that the hard work of civil society during the ‘inhospitable’ years of the previous regime had paid off, with key agenda points now being reflected in the current national unity government. “When we talked about governance, people laughed. When we talked about accountability, we got a cynical response. When we talked about the democratic deficit, people turned around and said that was an occupational hazard. All of those are now on the public policy agenda. Let’s us not forget that we put them there and that the political parties picked them up thereafter,” he said. 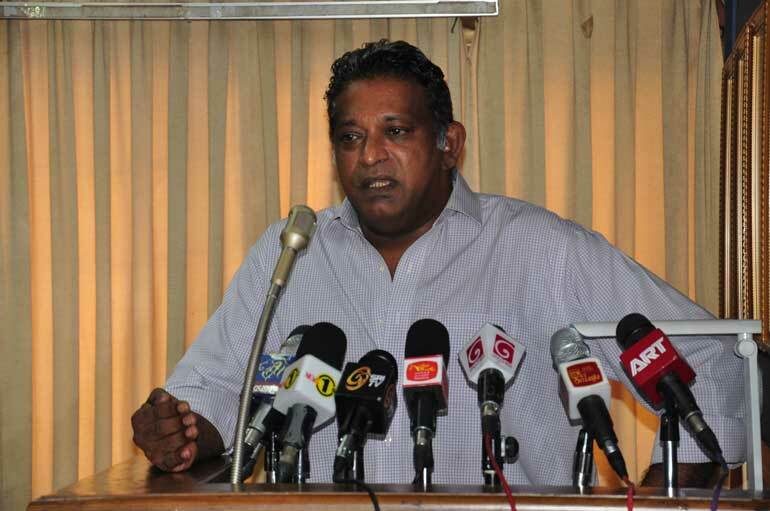 Slamming previous home-grown constitutions, Saravanamuttu said that the lack of public consultation in those processes and the deficit created was what had led to the inevitable movement to change it yet again. The Constitution of 1972 was soon changed in 1978, with the new one receiving immediate criticism and demands for repeal or reform. 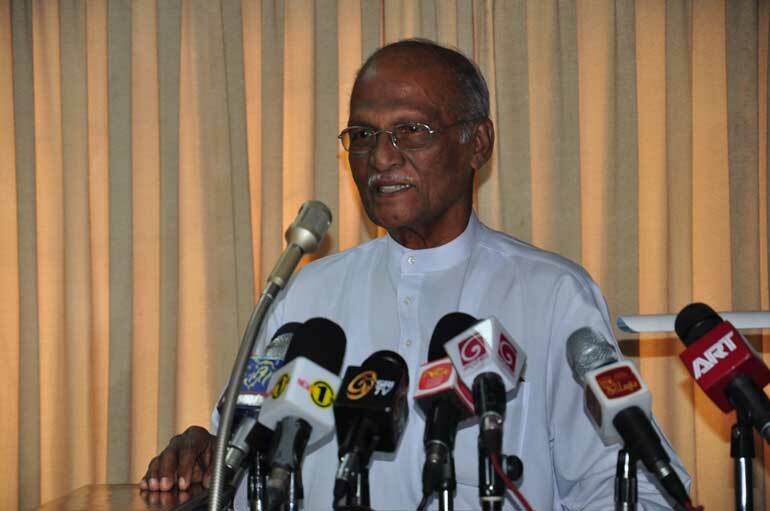 Saravanamuttu remarked that now was a unique opportunity to formulate a publicly consulted constitution. Advising against political apathy, Saravanamuttu said that citizens had a unique responsibility to contribute to policy making, urging that the polity to ensure the commencement of a political culture where public participation in policy would be seen as legitimate and institutionalised. “We cannot continue to be bystanders in the writing and imagining of our own story and country. We are the actors and the stakeholders,” he said. 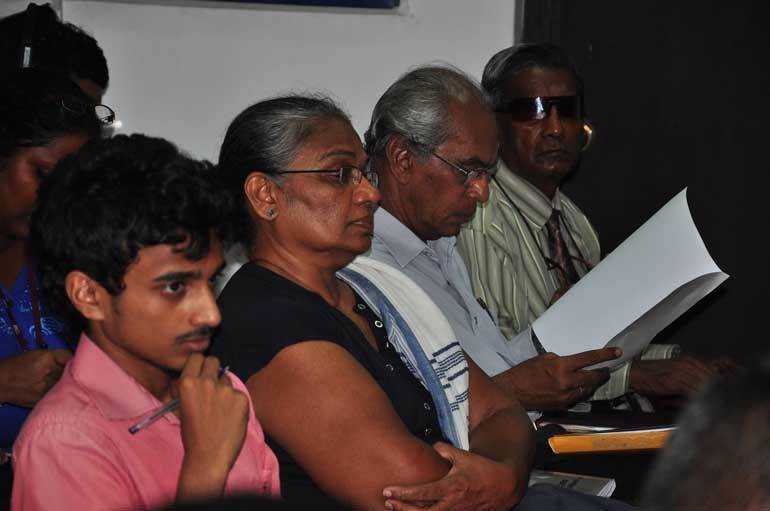 Held at the Organisation of Professional Associations of Sri Lanka, Saravanamuttu addressed a packed audience of civil society members including professionals and activist who were all eager to engage in discussion on the constitution. 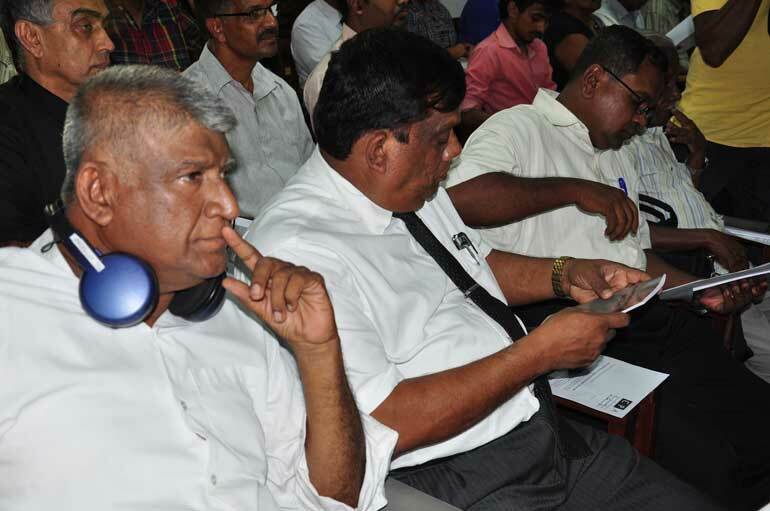 Proceedings featured headsets to translate speakers into Sinhala, Tamil or English. 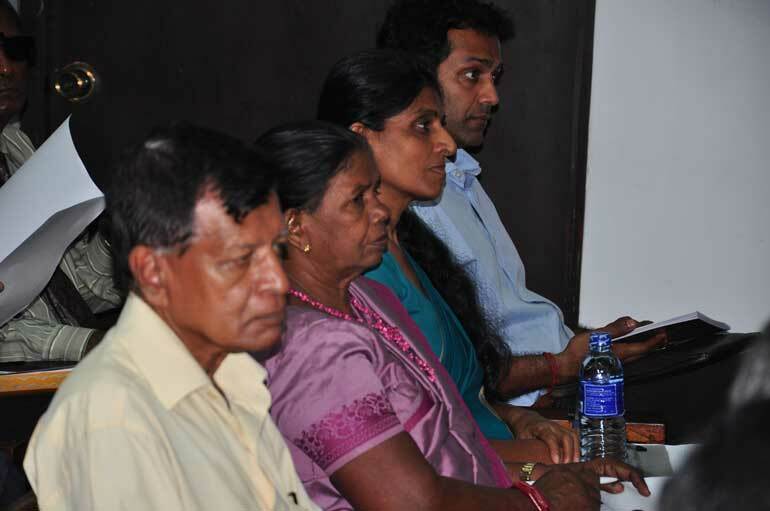 Printed material distributed at the event was in Sinhala and Tamil though none of the panellists spoke in Tamil. Speakers at the forum on public participation in constitution organised by CPA, along with responding audience members centred dialogue heavily on issues of social justice, particularly those pertaining to ethnic equity, language rights, religious freedom and gender equality. Attorney-at-Law S. G. Punchihewa spoke of the need to enshrine both the native languages of the country – Sinhala and Tamil – in the law making process. Punchihewa said that the country’s first constitution was written in English and thereafter the language has been privileged in law making, despite changes in language policy which attempted to transfer privilege to Sinhala. Punchihewa said that all current laws were written in English first and translated into Sinhala and Tamil much later, though he acknowledged a backlog of Acts that have yet to be translated into the native language. “There should be due acknowledgement if native languages,” he said arguing that laws should be written in Sinhala and Tamil first and then translated it into English. Speaking in Tamil, an audience slammed the language policies of previous regimes that marginalised the Tamil speaking community. He said that the new constitution would have to avoid re-treading the same mistakes of older ones by ensuring parity of status for both the island’s native languages. A woman from the audience raised her voice over the lack of conversation on issues regarding women’s rights. She argued that despite continuing conversation about providing a quota of seats for women in the public and private sectors, nothing concrete had been launched. She further stated that there was no guarantee that representation of women in government would secure rights and that all genders would have to work to uplift the station of women in society. Punchihewa along with members of the audience critiqued the priority given to Buddhism as the state religion and argued that a future constitution must be secular in nature to secure the rights of all religious minorities. “No religion should be given a place before another,” said Punchihewa.